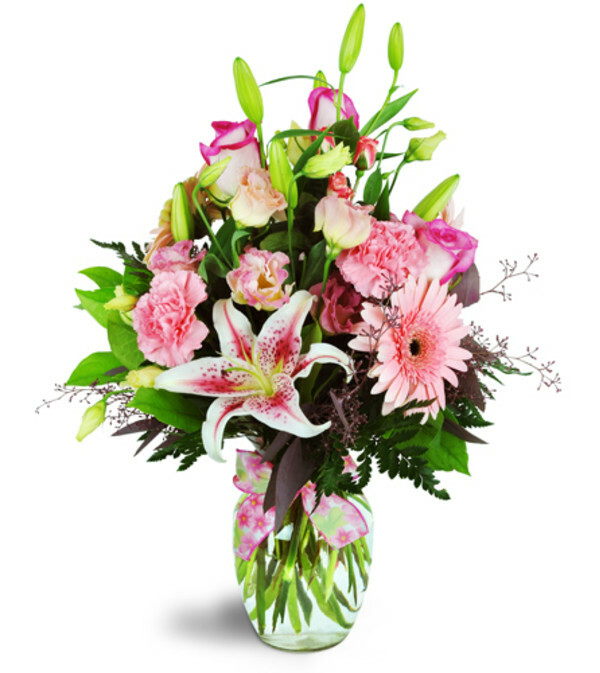 You'll be sure to get her blushing when you send this lovely pink indulgence! 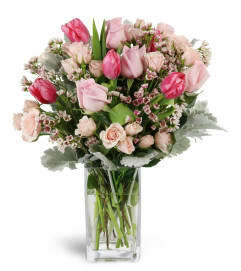 For a birthday or new baby girl, it’s the perfect gesture! Large Gerbera daisies, elegant stargazer lilies, and more, all in a variety of pink hues, are arranged in a classic rose vase.